it's not a party without the spinach artichoke dip. am i right? bring 1 cup of water to boil in a pot. 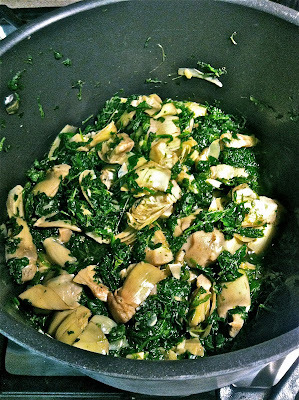 add frozen spinach and artichokes and boil until tender. drain and place in a mixing bowl. add remaining ingredients and stir until all is soft.